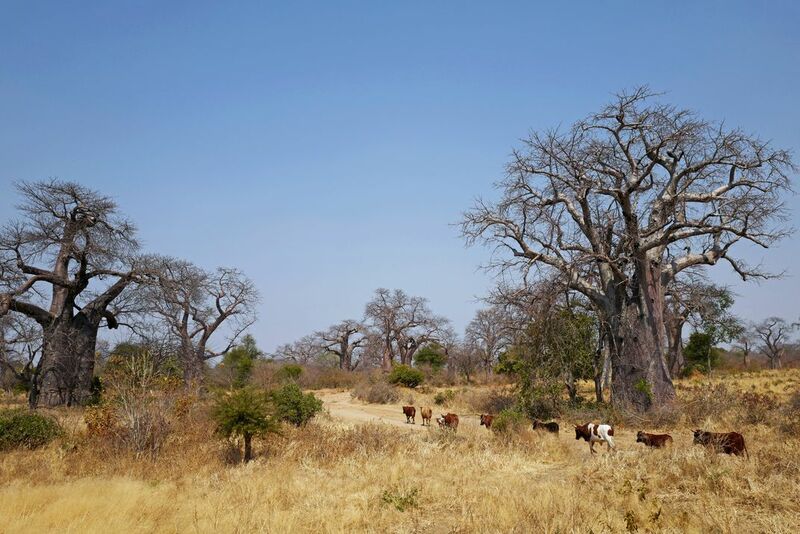 Southern Zambia at the Zambezi escarpment in the area between Lake Kariba and the lower Zambezi is home to the African Baobab tree (Adansonia digittata). Our driver to Lake Kariba has told me that there is a place where there are Baobabs just "like they plant them". This place is estimated 40 kilometers north of Siavonga at Lake Kariba, where locals have chopped all other trees for firewood. Baobab wood is too wet and soft and you can eat the fruit, so Baobabs are the last trees standing. Date Uploaded: Sept. 17, 2016, 2:55 p.m.